Ryan Kooiman joined Standard Motor Products full time as a Technician Training Developer in 2010. Previously he was the lead tech/driveability specialist at a 20 bay independent shop in Michigan. 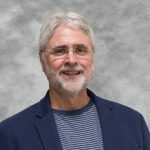 He is the founder of West Michigan Auto Repair Society, chairman of the MI chapter of SAE, has attended numerous ASE test writing workshops. He has appeared on TV shows such as the CBS Early Show and co-hosted Car and Driver Radio along with Road and Track Radio. Ryan brings his years of hands-on experience in the shop to the audience in a manner they can relate to and put to use immediately. In early 2013, Ryan was promoted to manager of the Professional Training Seminars training group, overseeing the scheduling and the work of the SMP training staff. In December 2013, Ryan was promoted to Director of Training. In this role, Ryan oversees the operations of the SMP Corporate Training Center in Irving, TX; oversees the operations and development of the Pro Training group, as well as works closely with the Marketing and Product teams at SMP to ensure that their products and promotions are what they need to be for the automotive technician. Check out Ryan’s other episodes HERE. Bob Pattengale is the National Training Manager for Bosch. Bob has over 30 years of automotive experience with stops at OE Dealerships, independent repair shops, technician training, and equipment sales. Bob is a contributing writer for Motor Magazine. Bob also served as the SAE Service Technician’s Society President in 2001 and 2002. Jon Forro is the owner of AST and an automotive Instructor. Accessing specific training needs will become the primary goal of all trainers, shop owners, and technicians. Going into training with a pre-assessment helps determine the strengths and weaknesses on the topic/subject. You find out the specific needs of the students. No more certificates of attendance. Student earns a certificate of achievement based on a test of the class material. Bosh is doing this. Finding the right classes continues to be a challenge. There is a larger need than the training available. On-line training is a strong option. Shop owner needs the courage to find their individual technician’s skill set and find the right training to fill that gap and invest in the training. The technician needs the courage to assess their competency and work on their skills as a professional. The student must absorb the knowledge and then put the new learning into play in their work. Practicing the principles from any training helps solidify the new training. Bob Pattengale learned that the ‘Why’ of everything he did as a technician was most important to his ability to learn. Does the shop have the proper tools that reflect the training that is provided? Do not rule out ‘basic training’. A refresher course on basic electricity could be a game changer for even the most seasoned technician. Basic principles in electricity is necessary or you will be stuck as the future unfolds. Legacy technicians may not go to a basic electricity class because their ego won’t let them. In this case they do on-line training. Being able to interpret data is becoming increasingly important. If you do not keep pace with automotive technology you will be left behind. Becoming a perpetual student is your highest professional goal. 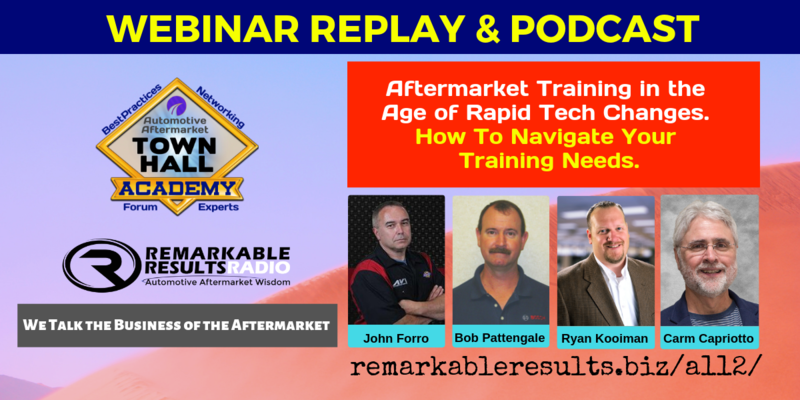 A special thanks to John Forro, Ryan Kooiman, and Bob Pattengale for their contribution to the aftermarket.